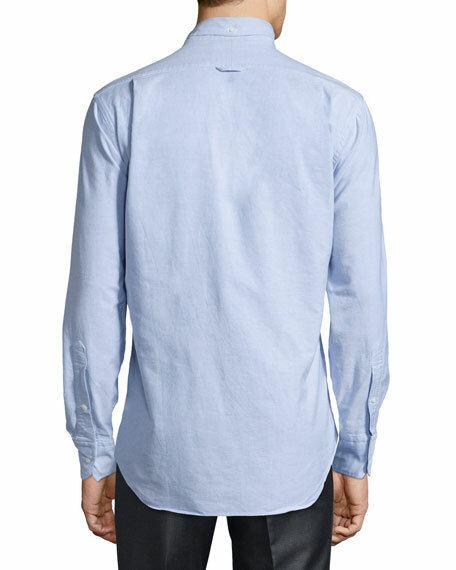 Thom Browne cotton oxford shirt. 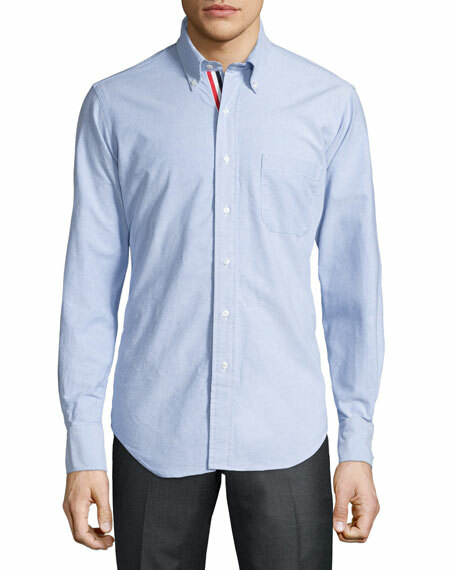 Spread collar; button front with grosgrain placket. Yoked back with center loop.